Earning extra income for your family is easier than ever nowadays. The internet affords us opportunities that our grandparents and parents for that matter couldn’t dream of when they were raising us as youngsters. You can start your own business, build a website, or register your business with your state all from the comfort of your home to make extra money. For many jobs, you don’t have to leave the comfort of your home to make extra money. I can remember when family members left one job only to hop on over to their second one. Depending on the type of job your main income comes from, this can be very exhausting. There are indeed pros and cons to making extra money. The pros are obvious right? Making extra money to pay off debt, save for a family vacation, or to add to your savings are all positives. The cons come in when you experience exhaustion from taking on too much or don’t use the extra money for the greatest benefit. Each of us are different and so your reason for making extra money maybe different from someone else’s, and that’s okay. Even if you want to make extra money so you can shop for yourself, don’t feel guilty about that. You know your story. 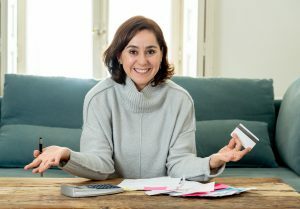 Can single moms make extra money? Of course they can, and they do it every day. I caution you to not fall for quick money, get rich schemes. They do not work. You cannot get rich quick. 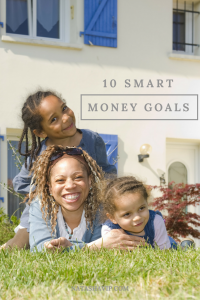 Devise a financial plan for your family and let your money work for you. 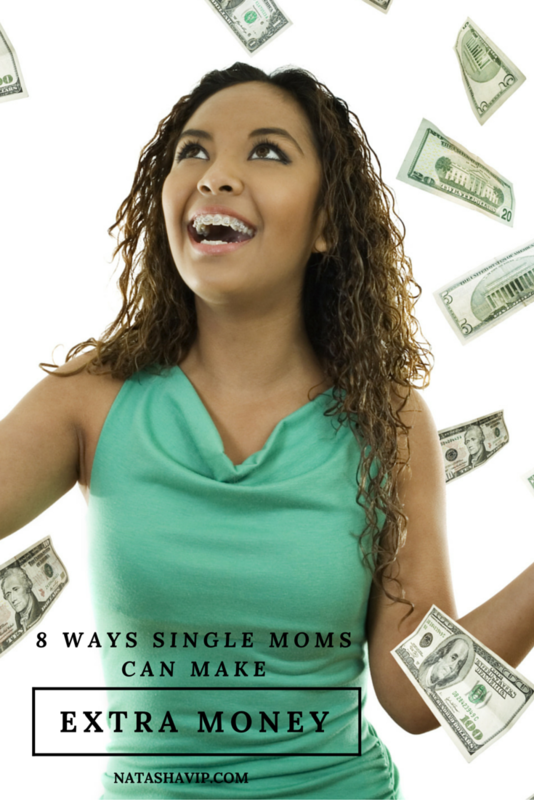 For me, this is the #1 way single moms can make extra money. Let me tell you, I’ve thought about going to work at Kohl’s part-time because that’s my daughter’s favorite store. If for nothing else, I’d receive a discount to purchase her clothes. But I had to be realistic, I’m an entrepreneur and that is where my focus needs to stay. Think about what you love to do and how you can make money doing it. We’ve heard this statement said in many ways by many experts. I believe it’s true. You’re probably more likely to stay committed to the endeavor if you really love it. Let’s be honest, you’ve probably had people talk you into doing what they’re doing like selling Mary Kay. Did that last? Probably not because that’s what they like, not what you enjoy doing. Start small. Don’t feel like you need to buy office furniture, stationary, or pay thousand for a website. Build your business. Invest back into your business and you’ll one day be able to afford to upgrade your business systems. I found this book for just $2.99 at this affiliate link, How to Start an Online Business: Create a Business Around Your Lifestyle. You can do this. For inspiration, take a look at my Inspiring Moms series. As I talked about briefly above, there are many companies offering work from home opportunities. For a great list, see this post. If you’d prefer to be home with your children, this is a great way to go. Some of these companies even offer full-time work from home employment. You could also go the traditional route of working a second job outside of the home. The choice is yours. I just wouldn’t want all of your extra income going toward childcare especially if you expect to use it toward other financial goals. Taking online surveys has been around for years. I remember signing up for these at least 7 or 8 years ago. I do believe the benefits are better now though than they were back then. For a list of these companies offering online surveys, check out this awesome post. This is something you probably can do while the kids are sleeping, waiting at doctors’ appointments, lunch breaks, etc. As with anything, you’ll need to plan out your day so you can see a substantive payout. I cannot express to you enough how valuable virtual assistants are to business owners. To control overhead costs, many businesses especially small businesses will hire virtual assistants instead of having someone on their steady payroll. From what I gather, virtual assistants set their own prices and contract out their services. I had the pleasant experience of working with one and she is phenomenal. I believe that any time we can free up our time to work on other aspects of our business is valuable and well worth it. In fact, I truly believe business owners make more money in hiring virtual assistants. If you already have experience in this area, that is great, but if you don’t, there are several professionals that offer training. And virtual assistants don’t only perform clerical work. They also create graphics for websites/social media, some manage social media accounts, others may do transcription or a combination of these. So the possibilities here are endless. Some people love multi-level marketing (MLM) and some do not. Every day I see women excelling in this field. Examples are Mary Kay, Herbalife, It Works, Stream, etc. Those that are successful seem to use this avenue to build their own business that is separate from the MLM business. I tried this once maybe 8 or 9 years ago but it wasn’t for me at the time. However, that doesn’t mean it isn’t for you. Again, find out what suits you and don’t worry about what others are doing. I think a huge negative aspect of this is asking your family and friends for support. From what I gather, some of the MLM companies train their agents to enroll their family and friends in some way so this does not bode well for many people. If you choose this option, I encourage you to research the company and work underneath a strong leader. One who loves to give and see others succeed. Sometimes the only way to identify this person is to sit back and watch what she does on social media. See what members of her team say about her and if they are actually making money as well. 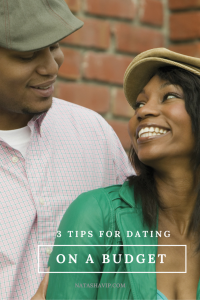 And of course, you can ask for recommendations. If you have any tangible skills such as resume writing, graphic design, website design, etc., you can offer these services to others. You can do this using your own website or other communication form, Fiverr, Elance, or any other outlets where people can find you. Be clear on what you offer, set up contracts that clearly state what you’ll be doing, and deliver in the time that you’ve stated in the contract. This helps in keeping a good reputation for yourself and gaining business through referrals. I see a lot of people doing this now. In my own neighborhood when I see someone walking several dogs, I think they must be getting paid. Ha! People love their dogs and so if they are just too busy or traveling, you can get paid to keep and/or walk their dogs. I don’t know much about this other than to tell you to talk to others who offer this service. Understand what you’ll be doing. And most of all, make sure this is something you’d love to do. I think dogs can become stressed if they feel their person isn’t nice or pleasant so keep that in mind. They deserve to have someone to offer them the same care that their owners would. If you love dogs, this could be a great option for you. Okay, so this is an easy one! You already have children so you’re already an expert. If you aren’t already, I’d suggest that you get certified in CPR and other relevant trainings. This will make you more marketable to parents, and if you sign up with a nanny service, for instance, I believe this is a requirement. Again, babysitting should be something you love to do and not just to make money. Since you have children of your own, you know how important it is to parents for their children to be in the safe care of someone. Also, think about work from home parents as well. They sometimes need a sitter even if they’re home so they can finish up their work or complete a huge project. So definitely market your services to them as well. 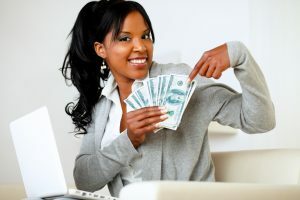 What other ways can single moms make extra money? This is an awesome list of information! I love the work from home list and it will be a big help to someone that I know that needs it currently. But by far being able to have my own business has helped me grow more as a woman and mom and become more confident in who I am.